California's Napa Valley Wine Country is the epitome of countryside scenery and legendary acclaimed wines. It is considered to be one of the world's great destinations for lovers of good food and beautiful views. It is also a visual delight for those who love Victorian homes and beautiful farms. 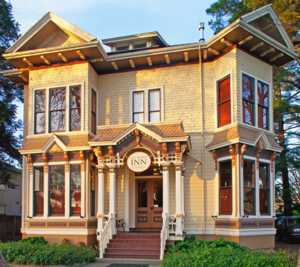 Hidden within Napa's classic old Victorian houses are the Old World Inns, a collection of restored, intimate homes open to guests staying in the Napa Valley. They are a perfect Napa Valley getaway. Another classic place to stay is the luxurious Greystone Castle Suite. This castle is surrounded by vineyards in North Napa. The private bedroom comfortably fits two and has easy access to Highway 29, Silverado Trail, wineries, downtown, restaurants, shops and more. How about the Moon House, an artistic retreat and sculptural jewel situated in the heart of historic Glen Ellen. Uniquely curvilinear in form, this intimate space is an ideal location for adventuring in the Valley. Restaurants, a gourmet grocery, and the Jack London Saloon are within one block of the Moon House. Take walks in the neighborhoods regional and state parks and explore Jack Londons Beauty Ranch. 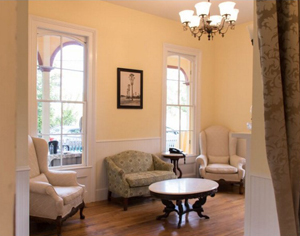 Calistoga's historic Brannan Cottage Inn has won numerous awards for its decore and ambiance as one of the Best Romantic Places to Stay in Napa Valley. The 1862 hot springs resort cottage, built by Calistoga founder Samuel Brannan, who was also California's first millionaire, is still on its original site. It has been restored with a fresh twist on Victorian style and is an intimate spot for elopements, proposals and honeymoons. For a real treat, consider staying at the panoramic Sonoma View Estate that currently costs over $1,000 per night. 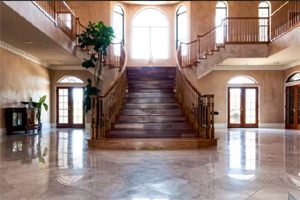 This 4,800-sq.ft. home comfortably sleeps 10 each with its own bathroom. Nestled among mature oaks and manzanilla on 12 rolling acres above the historic California Wine Country town of Sonoma, this retreat provides easy accessibility to Sonoma/Napa. While you're there take a ride on the Wine Train, which is one of the most distinctive Napa restaurants, offering an experience that echoes the glory days of train travel, with fine dining service, multiple course meals, Napa Valley scenery and ultimate relaxation aboard beautifully restored vintage rail cars. The antique train runs on 25 miles of track in the heart of the Napa Valley. It has two engines, three kitchens on board and a collection of early 20th century Pullman rail cars faithfully restored with mahogany paneling, brass accents, etched glass partitions and plush armchairs from the 1900s.